I recently received my tippet patches and had them sewn onto my tippet. – Unfortunately, the seal for the Wesleyan-Anglican Society (especially) is not straight. They are having to redo it for me. – Still, I thought that I would post an early picture, here. 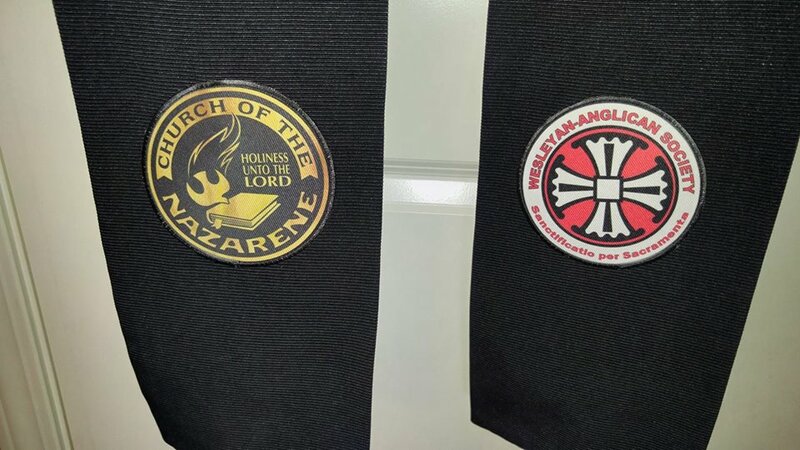 I will be sending information to members of the Wesleyan-Anglican Society, via an upcoming e-newsletter, about how they can get a WAS seal for themselves.